Observing the behaviors of wolves in the pack is very interesting, and even more so during birthing season. 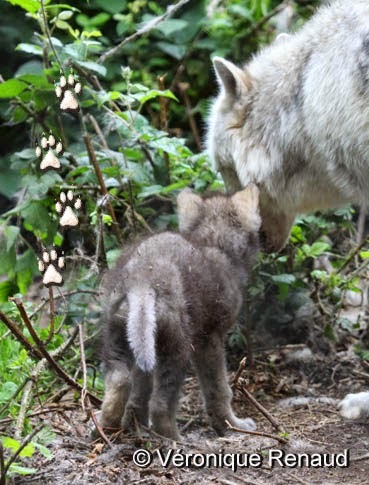 When the wolf pups are born, all the members of the pack are very active in taking care of the babies because they are the new generation, the future of the pack! Have you ever seen the tenderness that a female wolf gives to her babies? I have had the opportunity to spend time with the wolves of the Mackenzie, at the end of June. 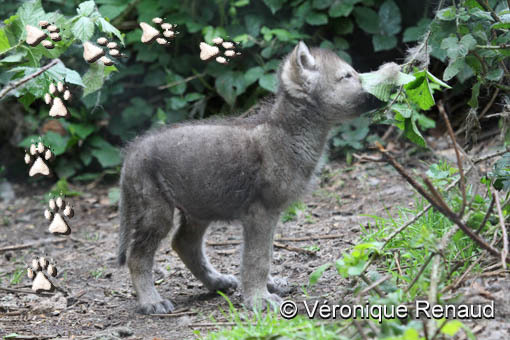 There was one wolf pup then at the age of 5 weeks, a tiny and fragile baby. The mother wolf gives much love and tenderness, with many cuddles throughout the day, whether she sleeps on her back or on her side. When the pup is young, the contact between them is very important, soothing and protective. 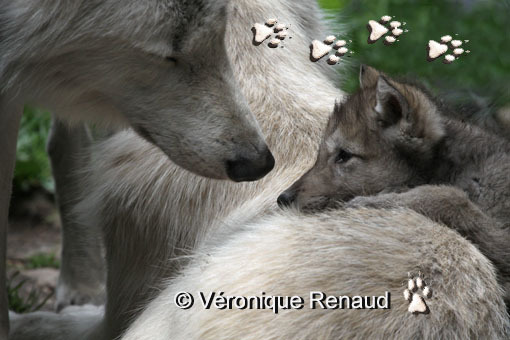 The role of the mother and that of the other wolves is essential for the young who learn many things continuously. The pups are attentive to all the lessons which are shown to them. 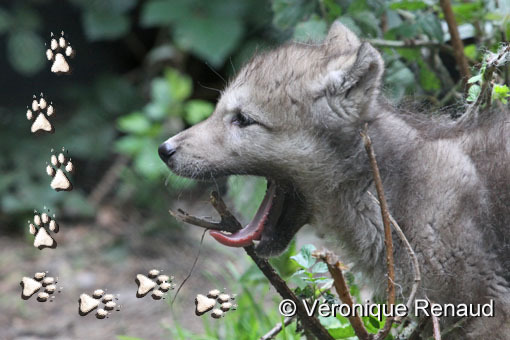 With all this love the wolf pup can grow to become a beautiful adult wolf, and in turn he will continue the lessons and love to ensure the continuity of his species. Responses to "The Love of a Mother Wolf... (Photos)"
I LOVE Wolves.... 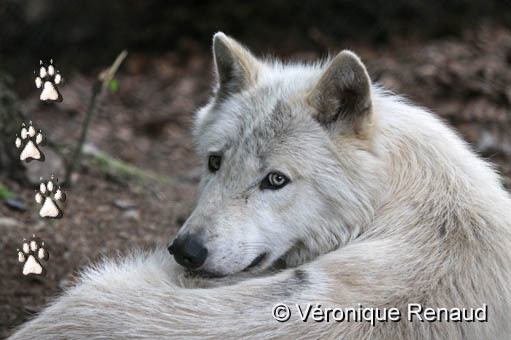 I would give anything to spend just one day with a wolf... anything!!! THANK YOU FOR SHARING WITH US. THESE WOLVES ARE SO BEAUTIFUL AND HOPING THAT THEY LIVE THEIR LIVES TO THE FULLNESS, AND NOT DESTROYED. GOD PLEASE SAVE THE WOLVES. WOW THAT'S AWESOME !! THIS IS WHAT I LIKE THANKS FOR SHARING THIS !! That is just one of the many tender moments of a wolf pack. The whole family and community tenderness of the wolf is amazing. I have a great respect and love for the wolf. Absolutely beautiful pictures! Thank you so much for sharing.I love this. Wolves have fascinated me ever since I read "Never Cry Wolf" by Farley Mowat many, many years ago, I suggest it to anyone who is interested in wolves. Beautiful photos. AWESOME! And I just have 2 say, every spieces, every single animal on earth are Dangerous including us, humans, when we r hungry, scared, pushed 2 the limit or when we protect our loved ones! Sorry, but we humans r the most Dangerous ones.. We kill because its fun or if WE decides; THAT kind of animal arent allowed.. We also think that WE r The Best ones.. So, if you, animal, other human beeing or what ever have the wrong colour, take to much space, livin' life in the wrong (??) way, what ever, we make Sure that y'all dies, just diappears, no matter what.. Because WE r the greatest or something..
Amo a los lobos! admirables! Gorgeous photo gallery of a wolf mothers love and protective eye. I just love wolves anyway but am very glad to have seen these photos. Thanks for sharing. Beautiful pictures. Beautiful pics, just beautiful <3 <3 Thanks for sharing!! i'm nyccolle and i'm brazilian i love wolves (e eu quero que vocês me enviem notificações em questão por eu amar lobos, sou contra as maldades e a tortura em questão, os amo e acho lindo eles obrigada por permitir que eu publicasse esse comentário). Just beautiful...Thank you for sharing.